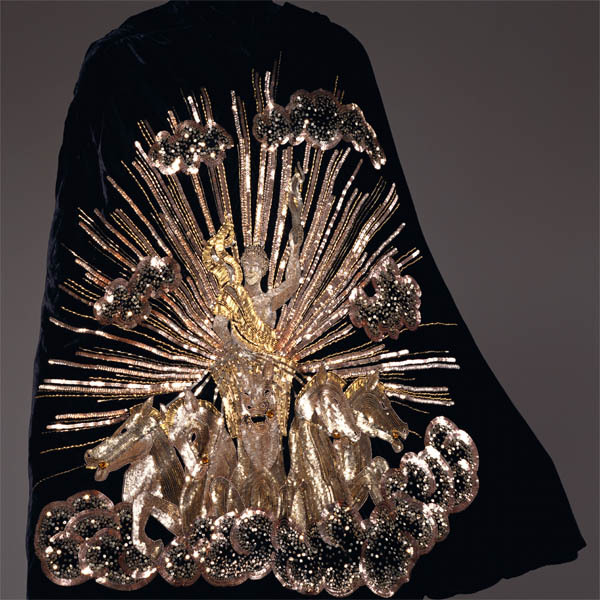 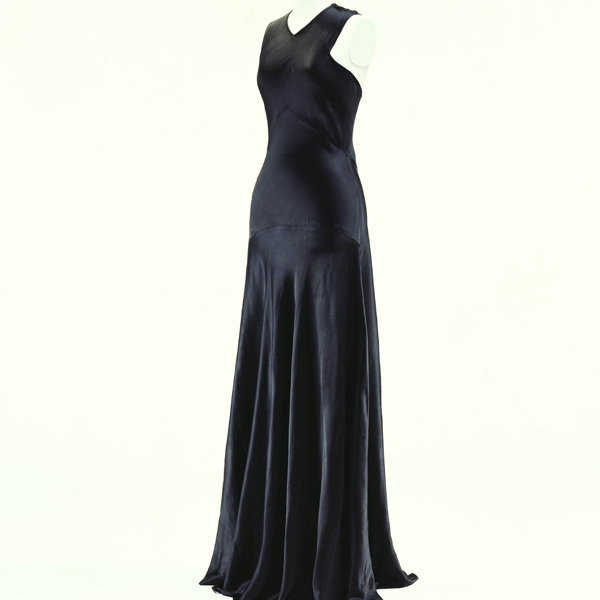 Black silk satin; two pieces used for bodice and five, in various size, for skirt; bias cut. 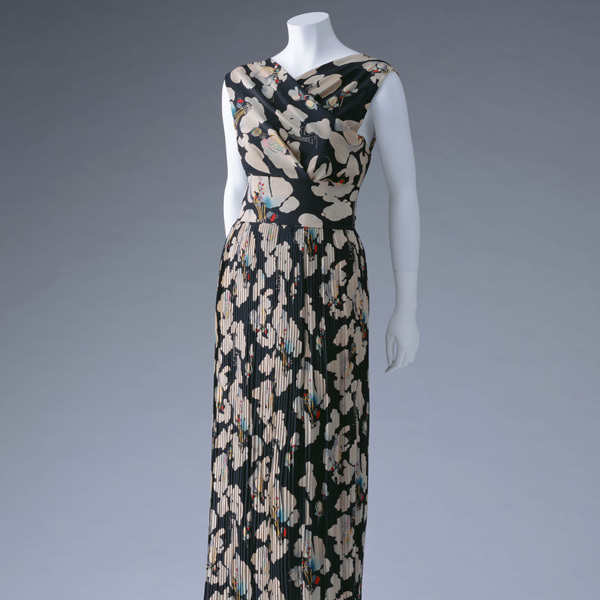 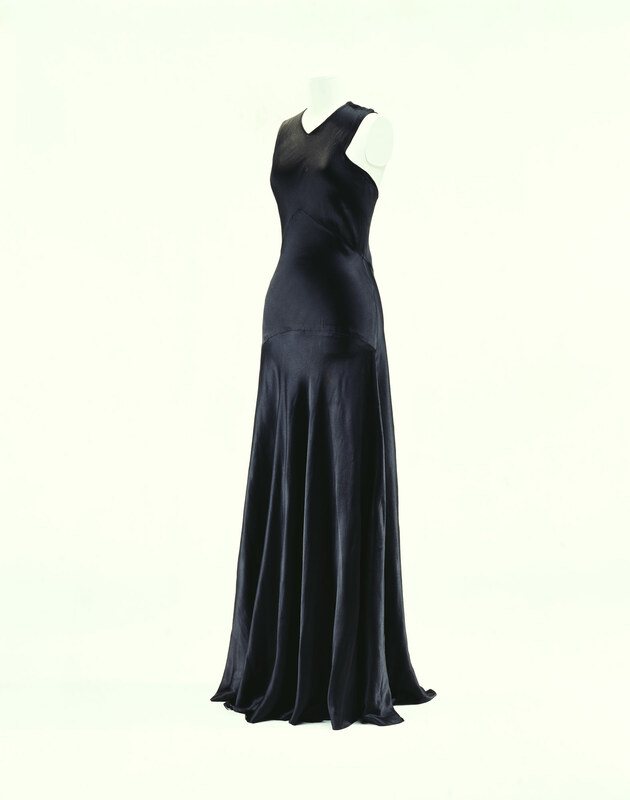 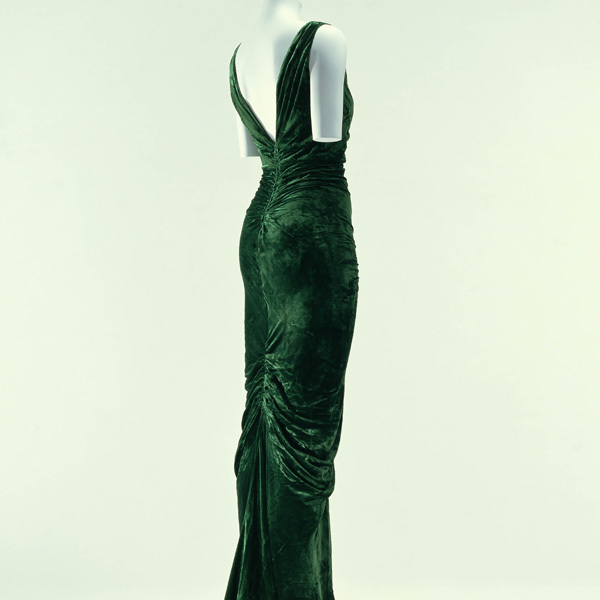 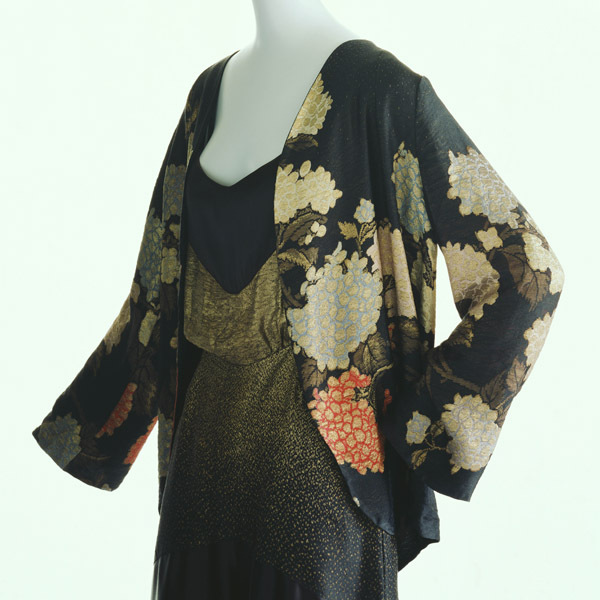 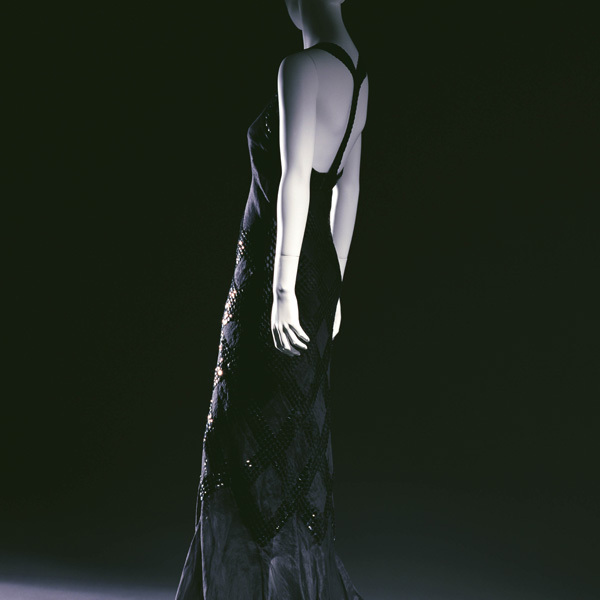 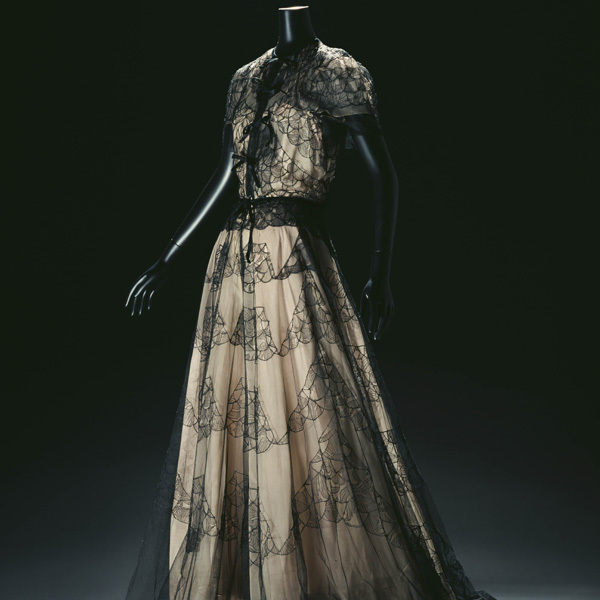 This seeming simple, black evening gown was constructed on the bias using Madeleine Vionnet's minute calculations. 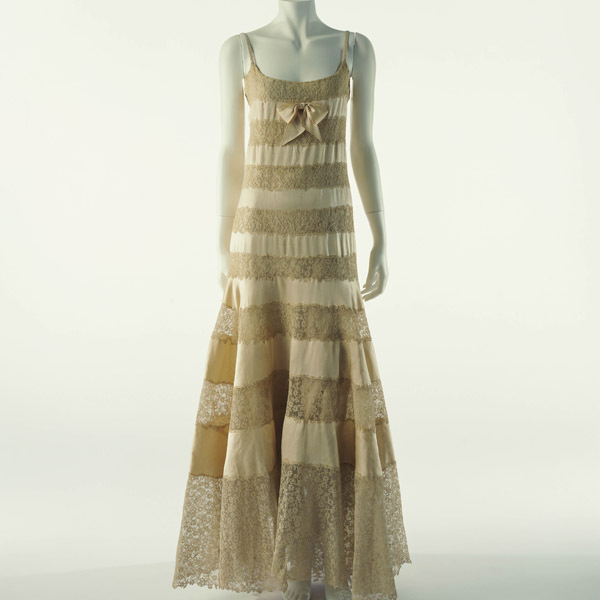 The vertical and horizontal growth rates of the varying fabric weaves cut on the bias made sewing extremely difficult. 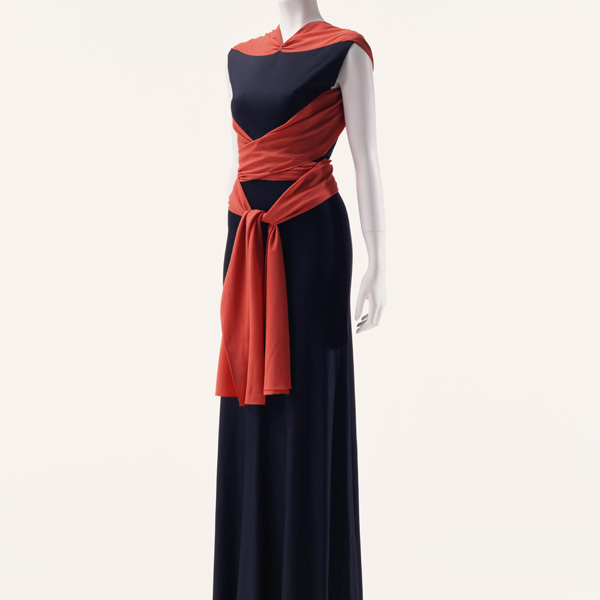 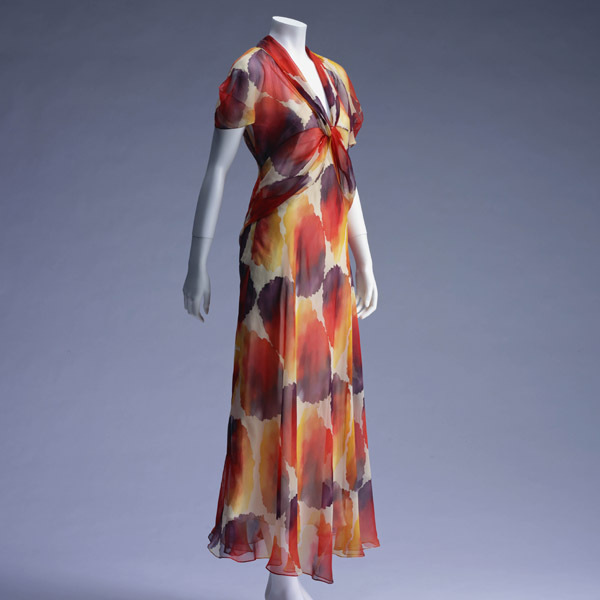 Vionnet's stretching and smoothing of the fabric in advance, along with her artistic cutting and sewing skills, kept the shape of the dress after its construction. 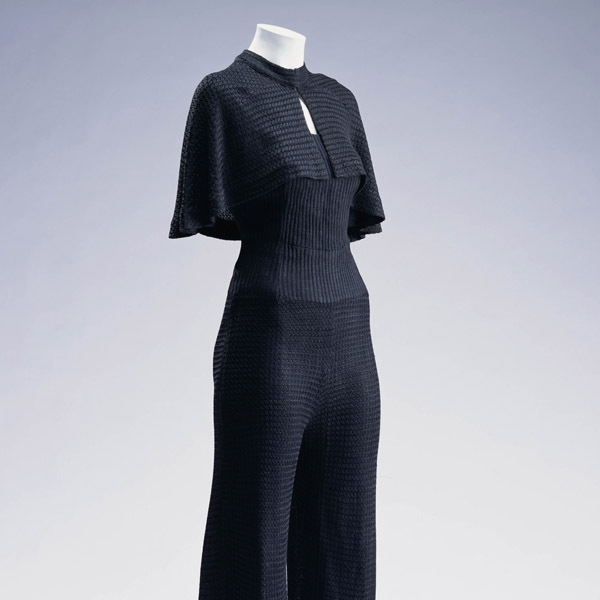 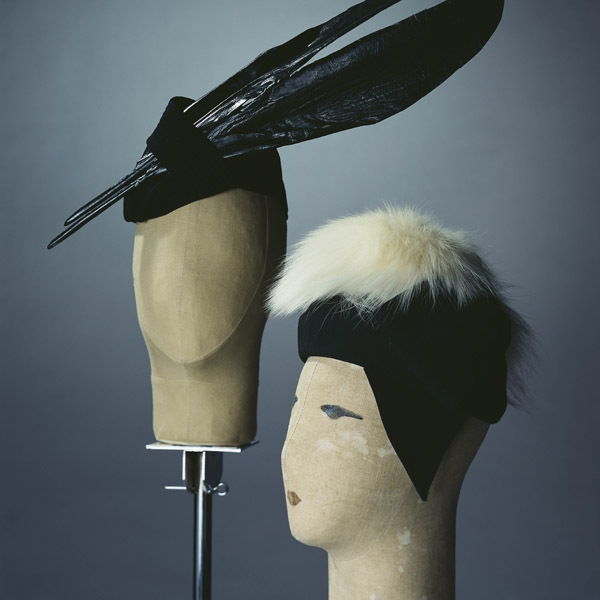 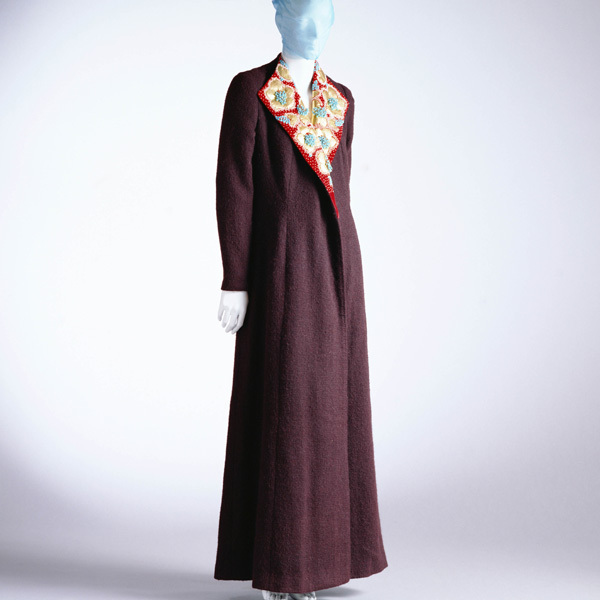 The bias cut became a useful technique in the 1930s, when consciousness of body line was revived in fashion. 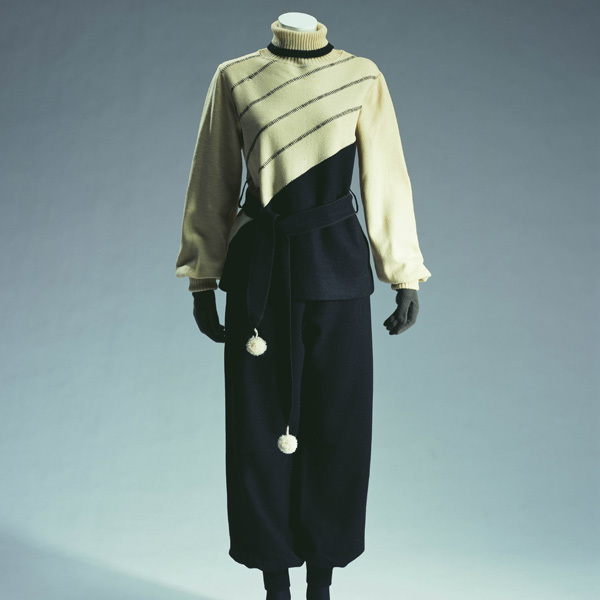 As though Vionnet were an anatomist, her grasp of the body's form using her characteristic split line and bias cut fabric personified innovative garments.